How ’bout some vegan recipes? Meatless Mondays? 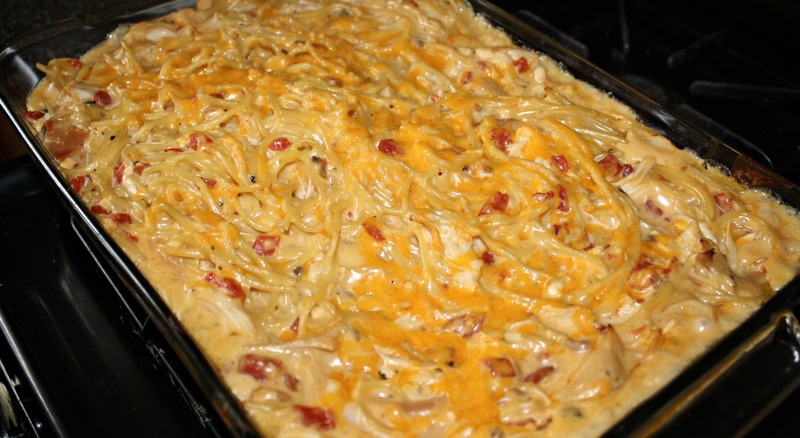 oh my… i live for ooey-gooey comfort food! no wonder you get emails — this sounds awesome! Kids scarf this up like it’s candy, I swear! Oh my GAWD, that looks insanely good. Anytime Rotel and Velveeta get together it is a taste bud par-tay! And the rotisserie chicken is brilliant. Bookmarked!!! It’s certainly not healthy like kale chips. 😉 But it sure is tasty. Thanks for coming by, Natalie! This makes me want to cook again, but my kids are so wasteful, it’s disheartening. Looks yum! Julie, this looks amazing! 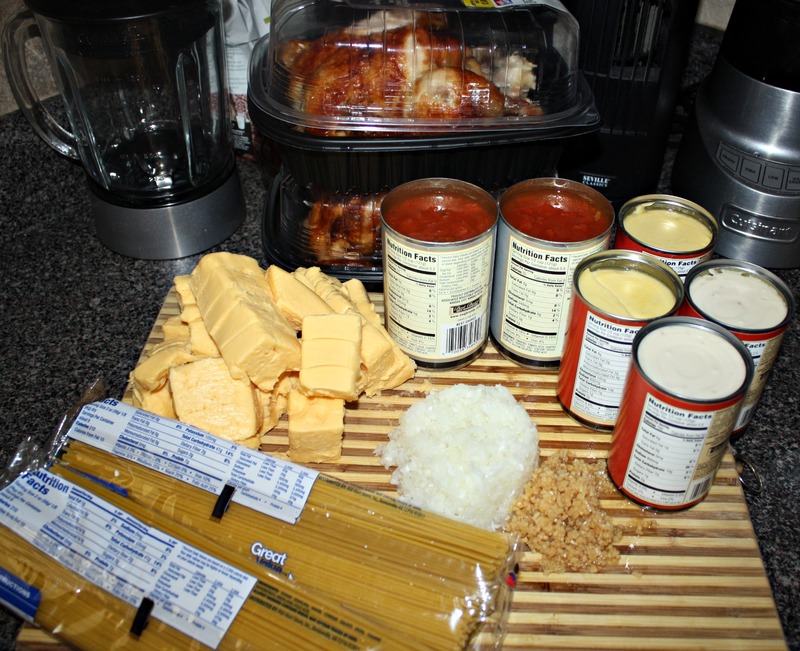 I’m gonna get all this stuff at the grocery store when I go next weekend and make chicken spaghetti! Yummy! Ha! I like the part about not wanting to get kicked out of a mother’s group. So true! I love the sound of this recipe. It reminds me of something my mom used to make. This is definitely the perfect meal to take to a new mom. Thanks for sharing it! How are your tasks going? I had something strange going on with my subscriptions and I didn’t receive your emails for a while, but I think I’ve fixed it. This looks pretty good! But here’s the thing…. I don’t like Velveeta so could I just use regular shredded cheese? Why wasn’t this brought to me when Donut was born? Was it b/c it was the middle of winter? I am a sucker for any creamy noodle dish. If I have a baby, will you bring this over? This looks so good! Anything with cheese has to be delicious! Is that the date?! I will bring you a freezer full of spaghetti. 🙂 Hey, can you still have bubble tea? I’ve made something very similar to this and it’s YUMMY! And also, really good to freeze for later. That’s so nice of you to help with the new moms. That’s one of the best things to get when you come home with a newborn–home-cooked (but not by you) meals. Well, it’s kind of selfish really, cause I get to smell newborn baby head. Which is better than anything. mmmmm.. I’m gonna try this one!! Can I make a confession? One that you won’t hate me for? Or cause you to forbid me to carry you around while you wear your gnome hat? chicken + noodles + cream sauce = vomit in my mind. I don’t think we can be friends, Liz. Oh boy, any recipe with “cream of” soups and Velveeta is good in my book. This is definitely a comfort food I want to add to my repertoire. That looks yummy. I am always looking for new dinners to try that I think my family will like. Will try soon and report back. Awesome! Can’t wait to hear. So I made this for dinner group this week, just a few changes so I could use up my garden peppers and tomatoes and more regular cheese because I didn’t have enough velveeta. Yes, they all loved it!!! And my kids devoured it! Thank you!!! Haha, I bet she was miffed. Glad the kiddos loved it. So impressed that you used homegrown ingredients! hello freind, how many people will this receipe feed?